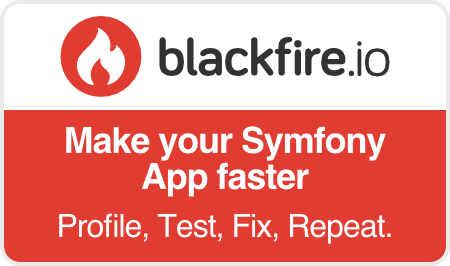 Symfony is a PHP framework - a framework to develop websites or applications written in PHP. A framework, a CMS (Content Management System), and a packaged solution do not meet the same needs or require the same investment and/or the same expertise. With packaged software, it's simple: aside from changing a few parameters, businesses must be content with the available features, which may be more limited that the initially defined needs; or the opposite, far too large in number. Aside from integrating it into the current information system, selecting packaged software requires very little technical expertise. A CMS and its add-on modules can be used to design websites and applications that are fairly close to businesses' needs, as long as the required modules are available and maintained! A framework offers all the flexibility of custom development and can be used to design an application that perfectly meets the expressed needs. It, however, requires development, integration and maintenance related technical expertise. Whether it is handwritten or developed using a framework, a PHP application is a PHP application. And in both cases it requires technical expertise. Nevertheless, the presence of a framework guarantees that an application complies with industry rules, is well structured, maintainable and scalable. It also saves developers time, by reusing generic modules, so they can focus on specific business features.